Falun Gong practitioners from Slovakia gathered once again in front of the Chinese Embassy in Bratislava on New Year’s Eve to raise awareness of the persecution of the spiritual practice by the communist regime in China. If the persecution continues in 2019, it will have been 20 years since its initiation on July 20, 1999. 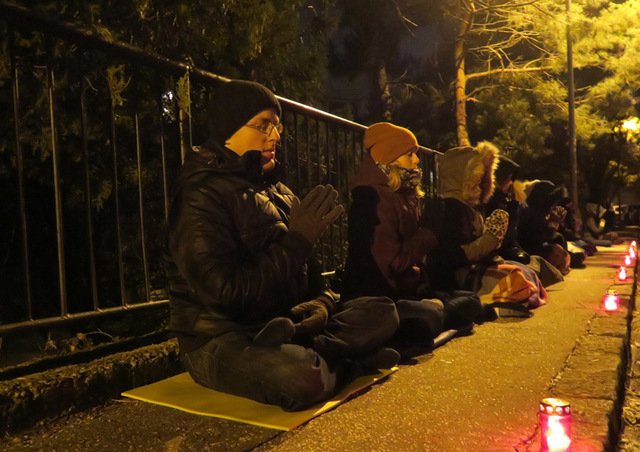 Over the past year, more than 800 practitioners in China were sentenced to prison for their faith, and deaths resulting from the persecution continue to be reported. 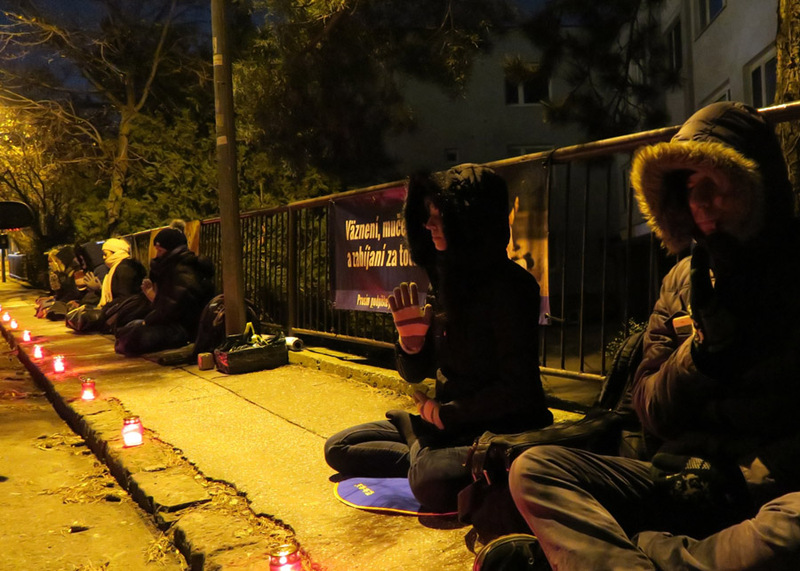 The continuation of the brutal campaign motivated practitioners in Slovakia to mark the arrival of the new year with a quiet demonstration, in which they sat in meditation and appealed to the Chinese regime to stop the persecution of Falun Gong. Passersby on their way to celebrate the arrival of the new year reacted positively to the practitioners’ gathering. One of them noted that he had read about Falun Gong in the past. After the gathering, a police officer on duty wished the practitioners well in the new year. 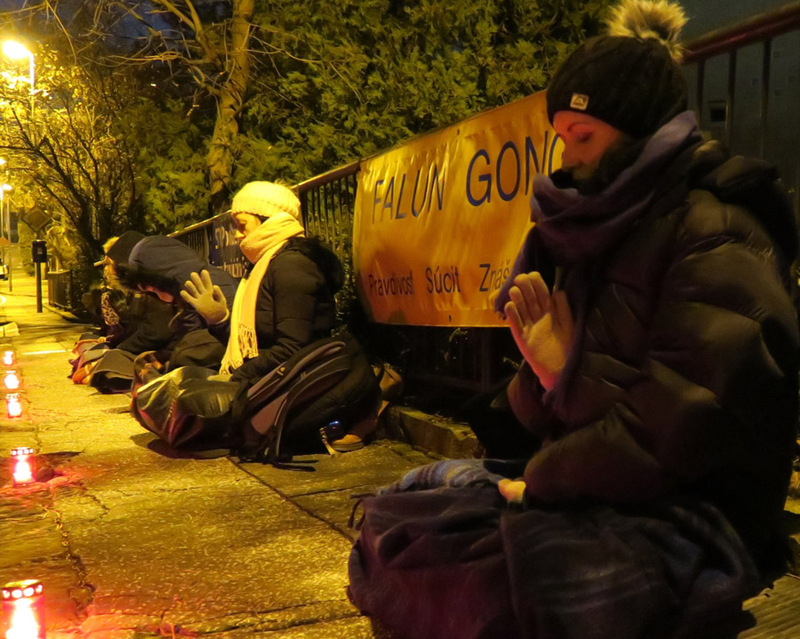 One practitioner expressed the wish for the situation in China to change this year such that the assembly would not have to take place again next year.